.99¢ FOR RELEASE WEEK ONLY! Together W Heal is the fourth book in the Rise & Fall series. We get Trish and Max’s story. Yay! I love that we are dropped right in the middle of their relationship. That there’s an existing relationship and we get to see the development from that moment is refreshing. I loved Max! And I liked Trish enough. 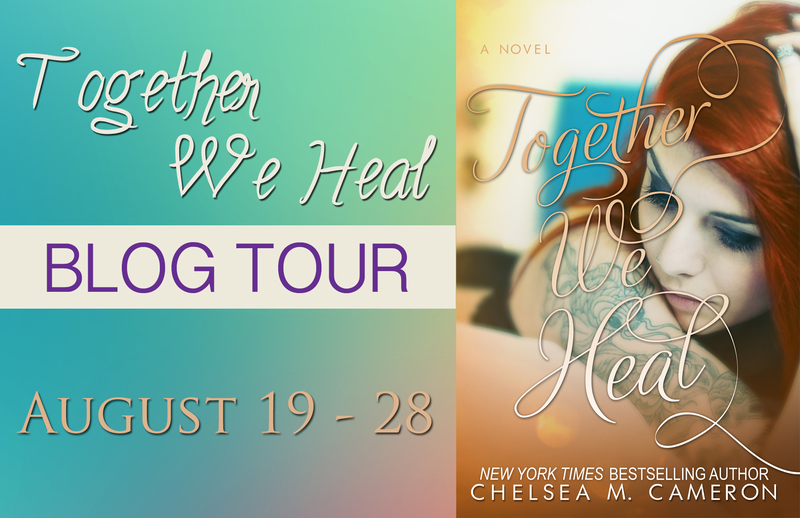 Yes, just enough that I’d say Together We Heal was better than a good read. Cameron delivers the angst in a package named Trish. While appreciating a damaged character like Trish, I may have wanted to see her opening up a little bit more, a little bit earlier. Max! He’s a favorite. I loved that he didn’t give up on Trish and that he was able to really see her. I’ve enjoyed Cameron’s Rise & Fall series and would love to read more.